The water at Laurel Springs flowed quite enthusiastically after the previous night’s rain. We crossed safely, but it seemed a little iffy. It provided good crowd control, as we had the trail to ourselves from that point on for most of the afternoon. Shortly after crossing the foot bridge, we entered into a “bear activity” warning area. While stopped to eat lunch, we heard some suspicious grunts. We never saw anything, but I suspect a bear was near. 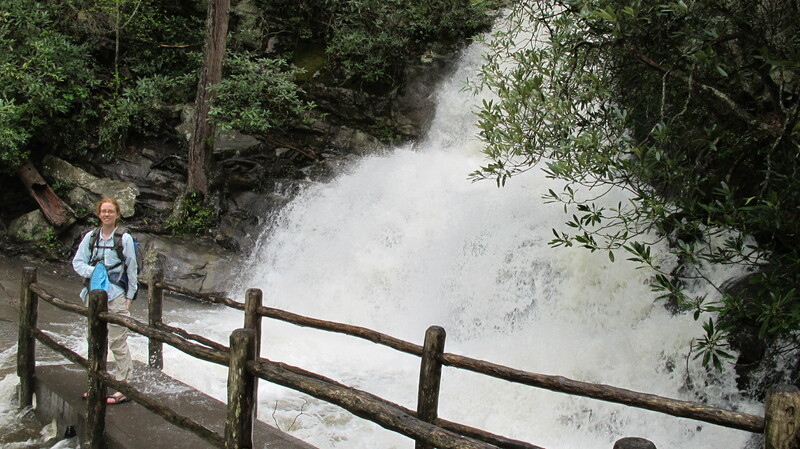 Ramsey Cascades topped the next day’s agenda. Getting to the Ramsey Cascades trail head involved a drive over some narrow gravel roads. Said roads featured some interesting potholes, but the car came out unscathed, thanks to my stellar 10mph driving. When it came Matthew’s turn on the way out, he upped our speed to a whopping 12 mph. 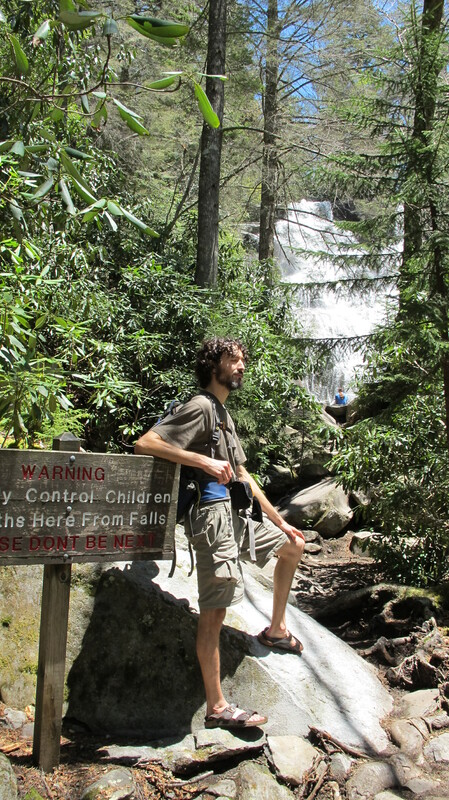 The 8-mile RT hike to the Ramsey Cascades was lovely, with many water crossings along the way. 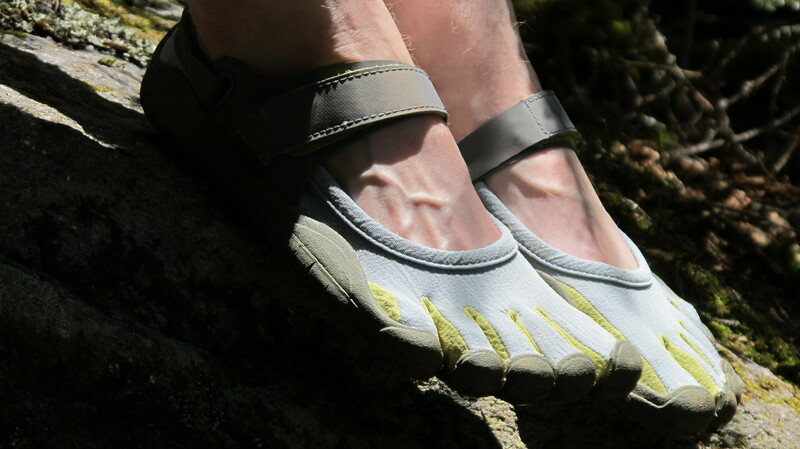 I wore my new Five Fingers for part of the hike — much better than those horrible hiking boots I wore in Glacier (bemoaned here and here). 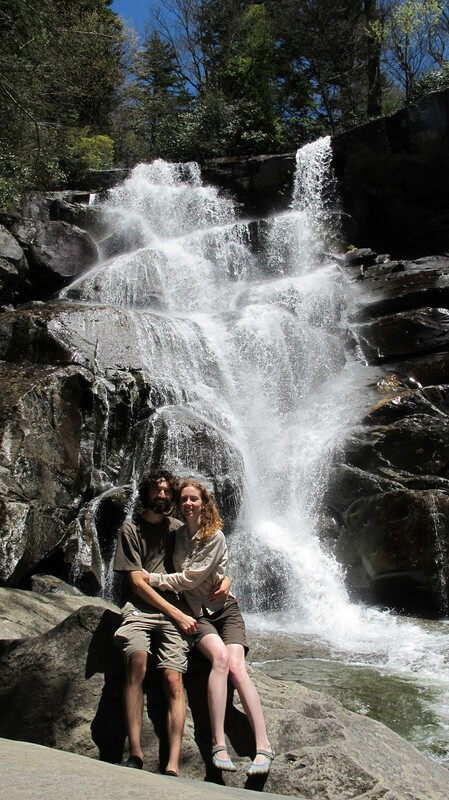 This entry was posted in My Life, Other and tagged footwear, hiking, national parks, Smoky Mountains, vacation. Bookmark the permalink.